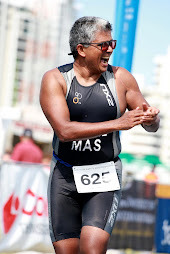 34 years of endurance sports. Endured a heart attack and major surgeries, but I'm still at it. Only Open Water Swimming now. 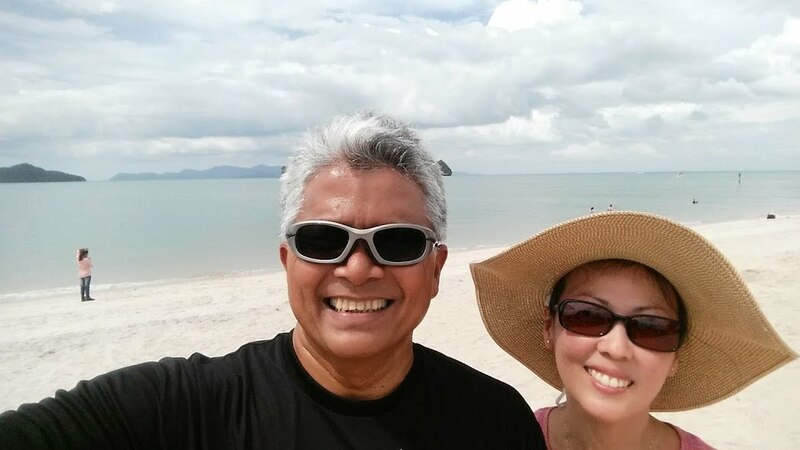 Very ably supported by my Thai wife, Tip. 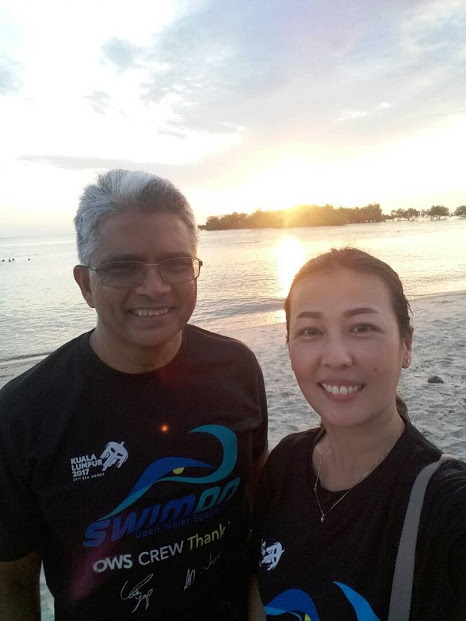 We are living in Malaysia and I swim to stay healthy. The Kelab Tasik Putrajaya MOWS on 13 May 2018, was the second in a series of races organized by Swimon for 2018. 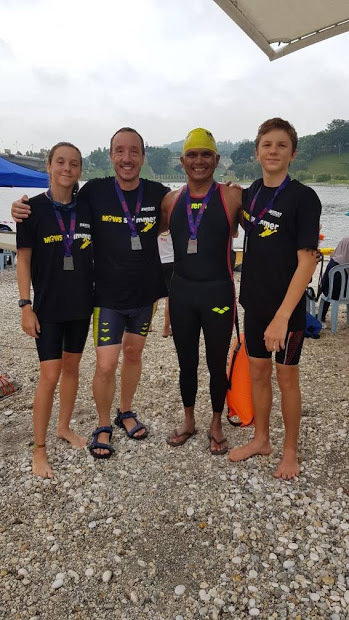 Swimon, apart from organising many swim races (see below for list of their races in 2018), also regularly organizes Open Water training sessions at Port Dickson for adults and kids and semi formal (not races) swim events. 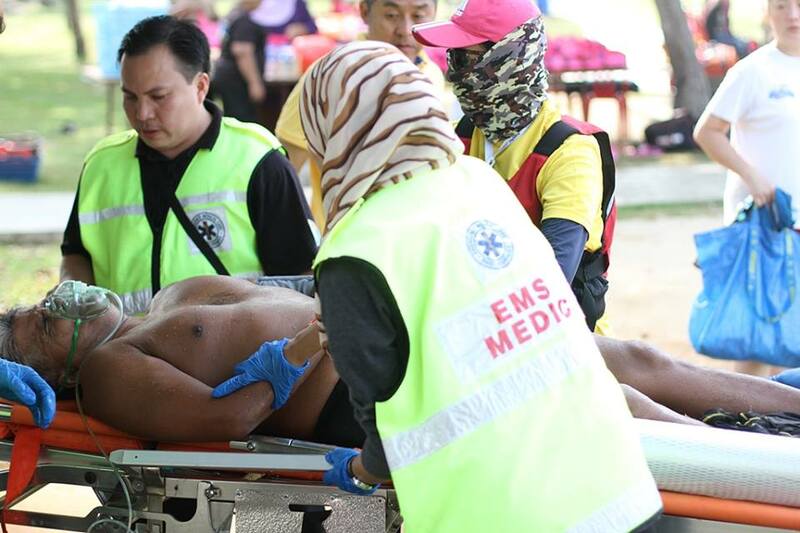 Swimon working with Aquaputra, Emergency Medical Services etc help develop competent lifesavers and medical teams for Open Water Swimming in Malaysia. 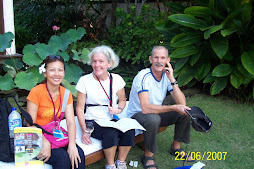 With each event, these dedicated volunteers become more and more competent. The sport of Open Water Swimming benefits. 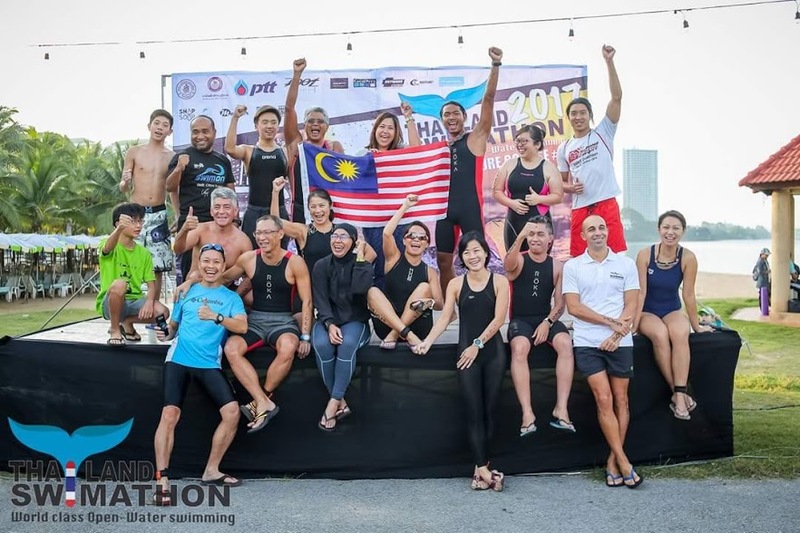 So I would say Swimon and its team are doing a grand job in promoting the sport. 2nd Leg. 13 May 2018 at Kelab Tasik Putrajaya. Sold out and completed. 23 June 2018. Saturday, 5 p.m. at P.D. Renang and Rendang. OWS clinic and training. Registration still not opened. 3rd Leg. 1 July 2018 at Port Dickson. Event info. But I think Registration is closed. Tentatively 28 July 2018. Informal 10km swim around Putrajaya. Details still not out. Participation by invitation only. 12 Aug 2018. Bukit Merah Lake. Still to be confirmed. 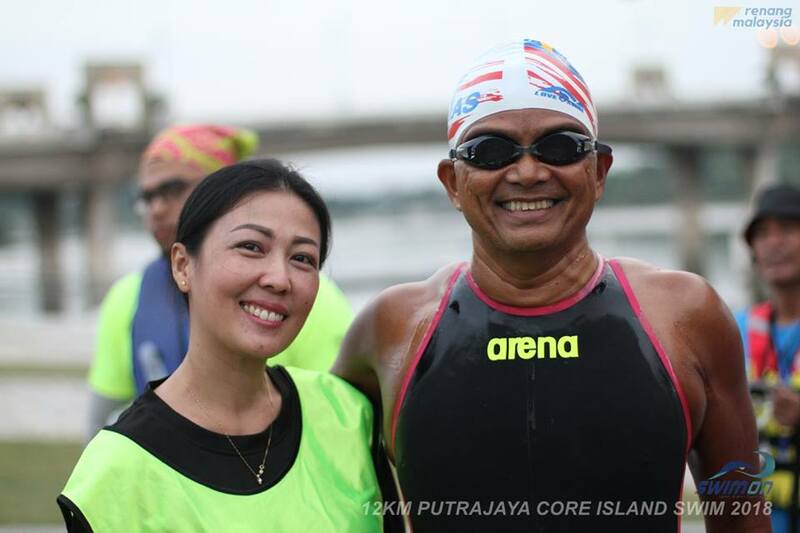 31 Aug. Merdeka Night Swim at Putrajaya. Details still not out. 6 Oct 2018. Around Pulau Perhentian Besar. 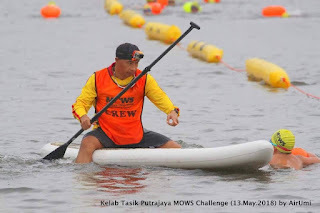 16km (solo, teams of two or four), and 4 km. 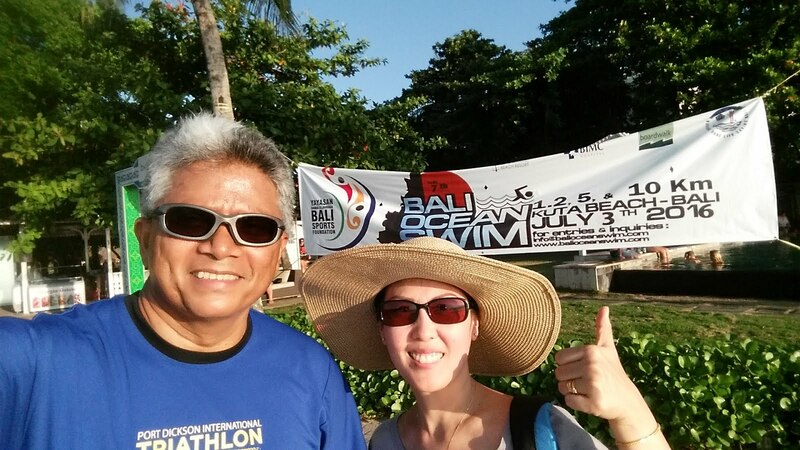 Registration for the 16km solo, duo, team is officially closed. But please contact Swimon if you are keen to participate. 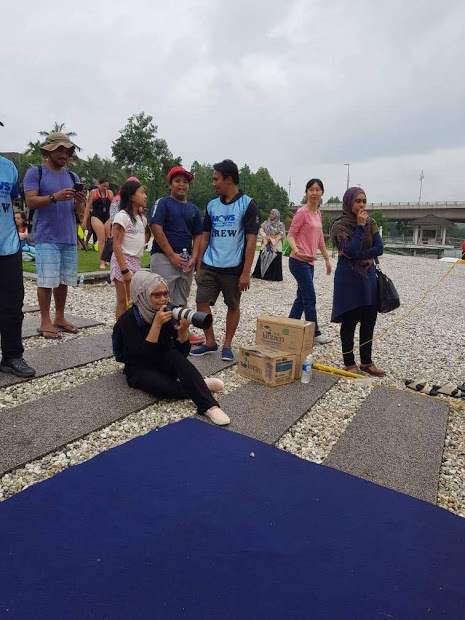 Registration for the 4km is OPEN. 4 Nov 2018. Finale. 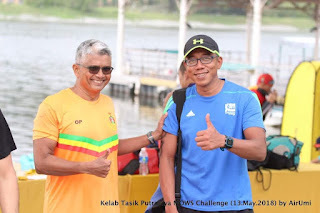 Putrajaya Swimfest. 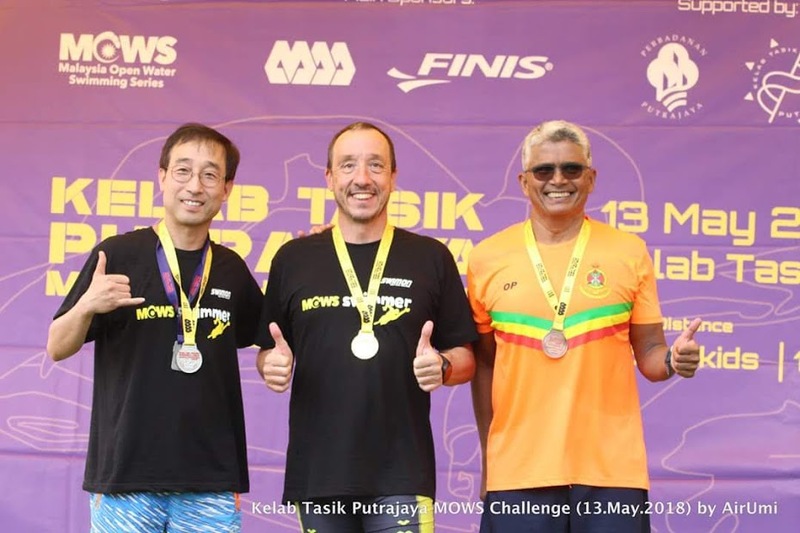 The very successful Kapas Marang 6.5km, organized by Triathlon Malaysia was held on 22 April 2018. 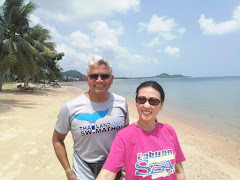 Labuan 5.4 km was held on 28 April 2018 (which I didn't go). 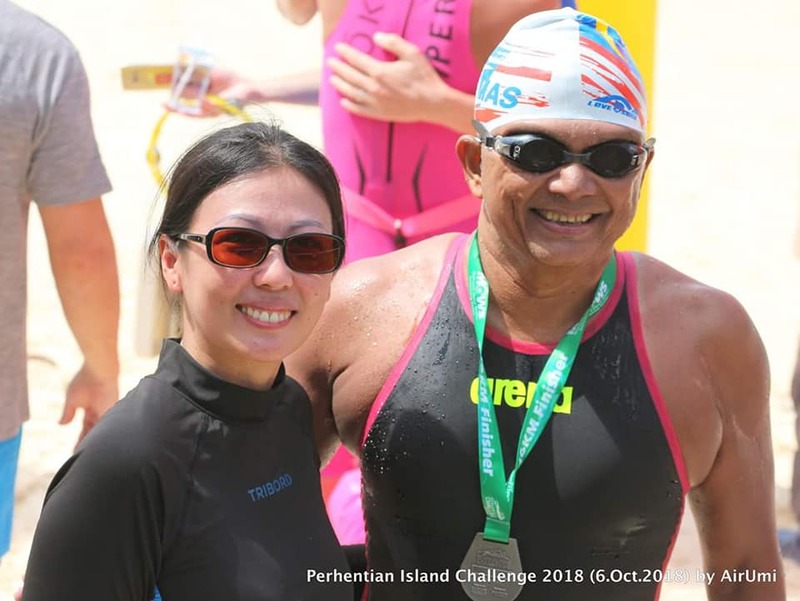 The APMG Penang Cross Channel Torch Swim is on 2 Sep 2018, please follow the Penang OWS Facebook page). 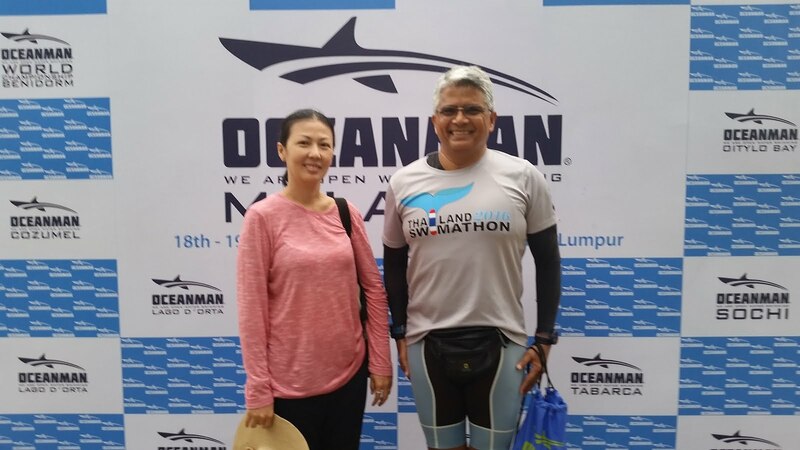 Oceanman Krabi is on 14 Oct 2018. This will be incredible. Registration is open. 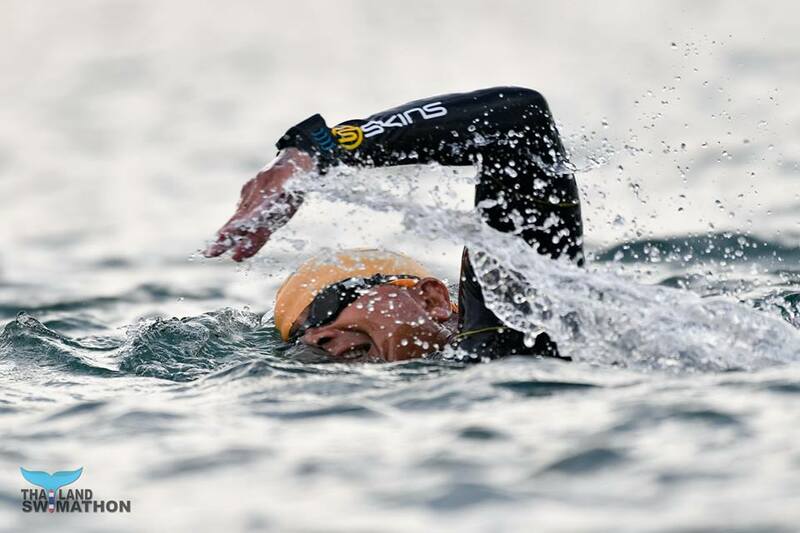 Oceanman World Championship will be at Dubai on 16 Nov 2018. Details still not out. 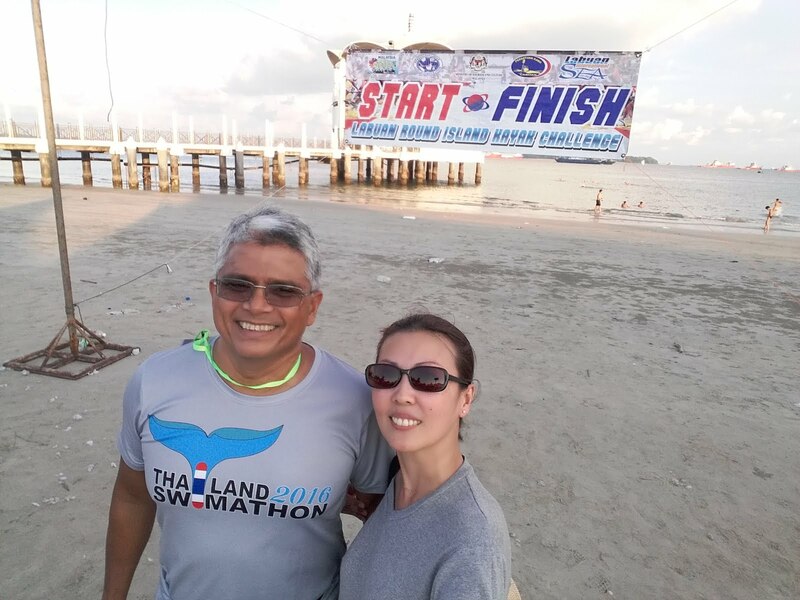 Thailand Swimathon will be on the weekend of 8/9 Dec 2018 at Pattaya. Registration is normally through "runlah", I think still not open. I'm definitely going to attempt the circumnavigation of beautiful Pulau Redang again in 2018. 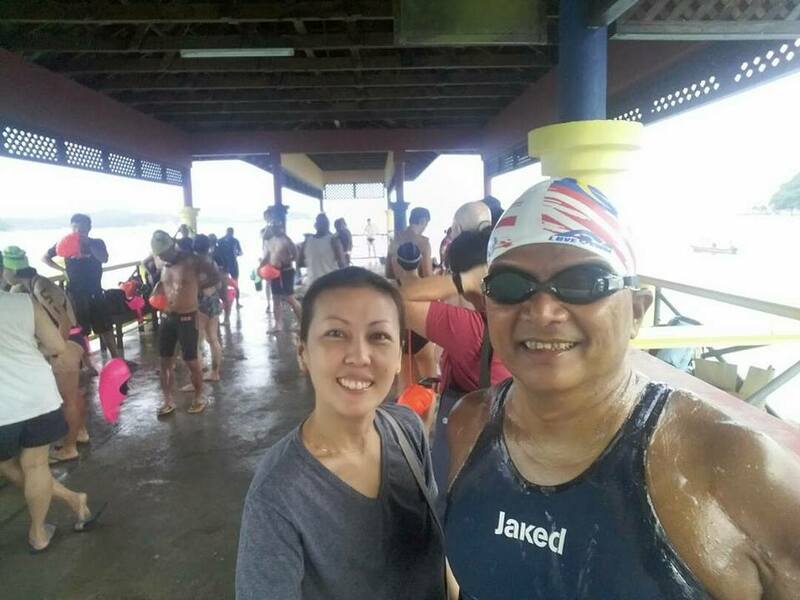 So 2018, will be a full year for swimming. 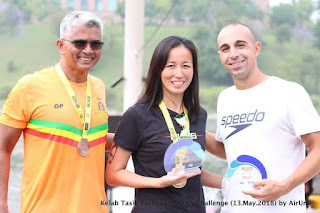 I'm beginning to like swimming at Putrajaya Lake more and more now. The water is pitch black and was very off putting initially. 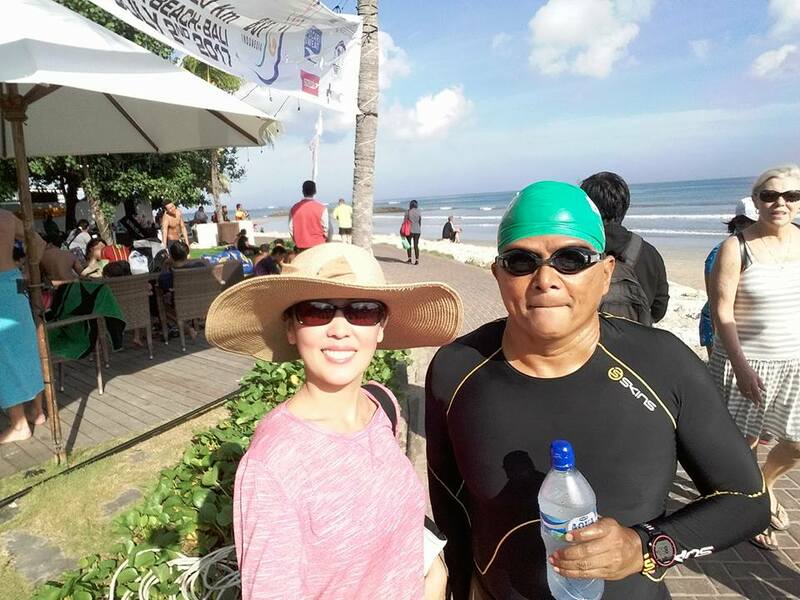 But it is safe for swimming and I didn't feel any irritation at all after the swim or have any salty feeling. 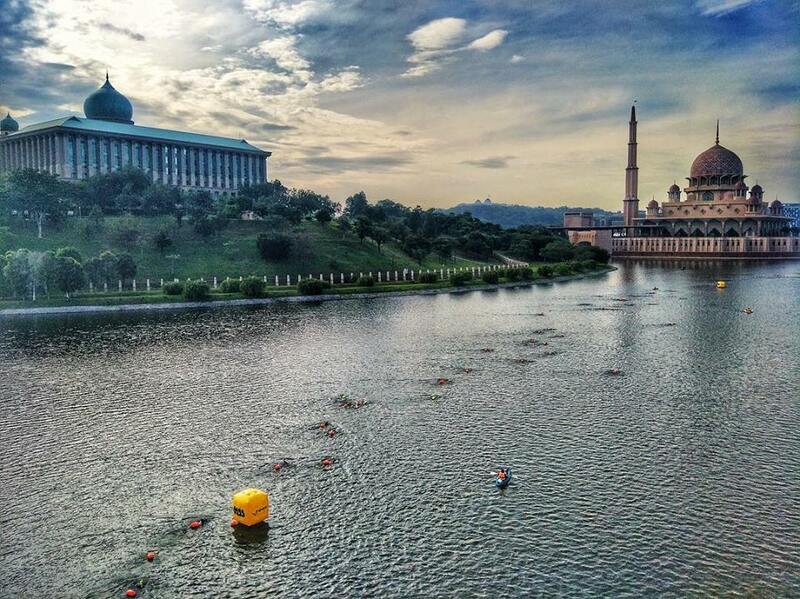 Putrajaya is also only 30 minutes from where I live, very convenient. 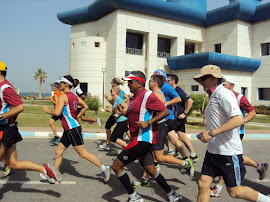 The distances competed for were 300m for kids and 1.9 km or 3.8 km for adults. Kids and adults were sub divided into age groups. So many participants got two medals (one for finishing and one for podium). Everything went quite smoothly and there was no sun. Largely it was the same organizing team as for the 1st Leg (P.D. 4 Feb 2018). So there was improvement in all areas. I'm on the WhatsApp Organising Committee Group and I knew they were getting things ready way before the event. Eg. sorting out the medals and goody bags. This time a few had to go for SUP (Stand Up Paddle Board) training. There was a lot of short cuts at P.D., which I saw with my own eyes. 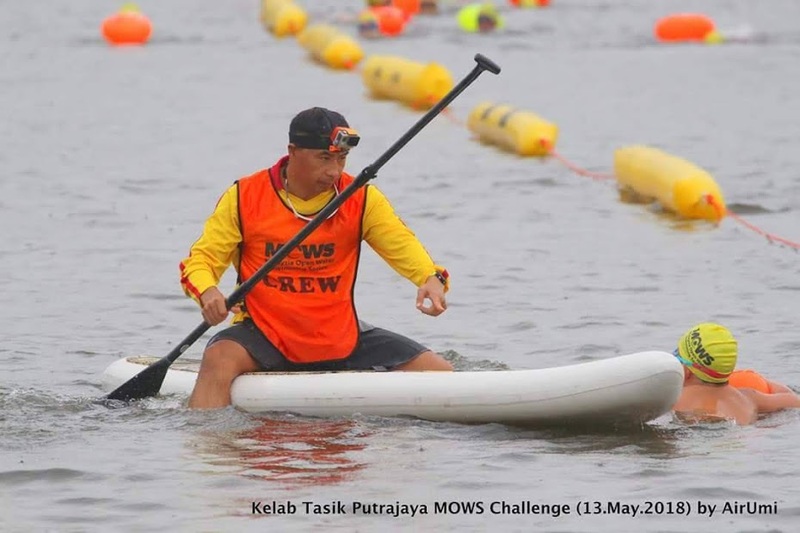 But this time turning judges on SUPs were deployed at all turning buoys, so no short cuts. The buoys didn't go flying about, well there's no currents in a lake. The results were out quickly and almost 100% accurate. Prize giving went smoothly as Yvonne and Tip also assisted at P.D. Loges was again the M.C. Advance Tan took over for prize giving announcements. 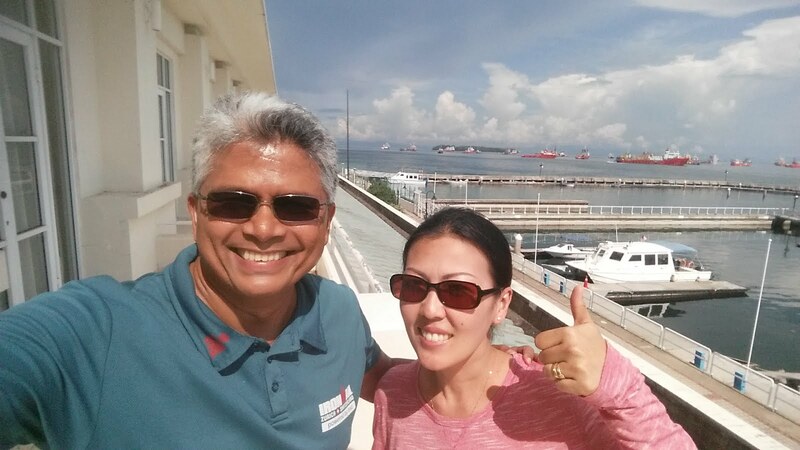 No ultra long queues at Registration (well done Sumai, Julia and Joey). Joey and little Elysa did food distribution. 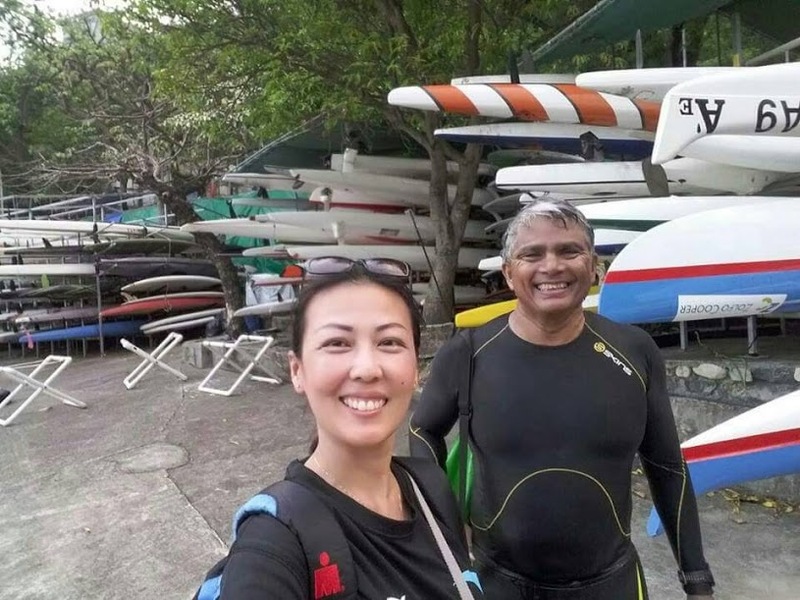 Tip helped with left luggage and buoy rental, then she helped with medal distribution. Of course Tip gave away her very popular banana cakes (99 pieces or more I think). 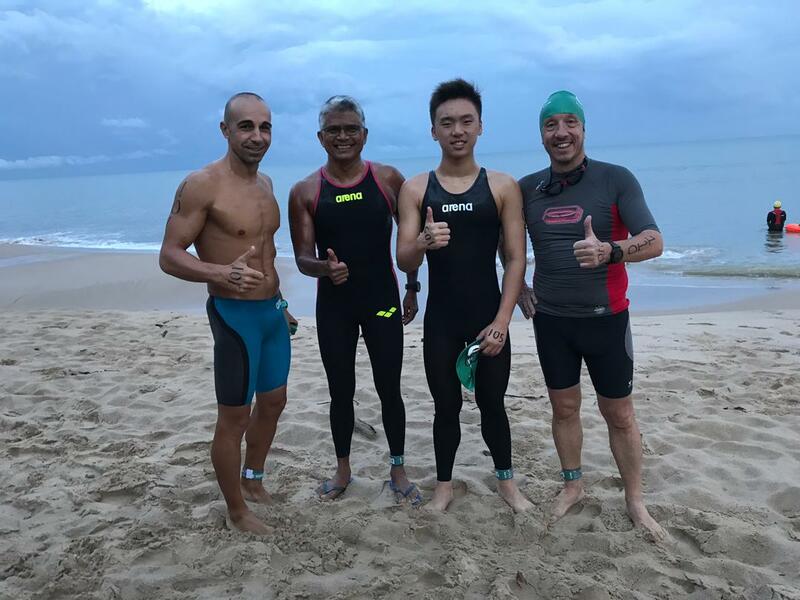 Yoshi and Philip Tan were out on the course. Jose followed the last kid swimming. Zai provided amazing photographs for memories. There were no safety scares. So it went quite well. 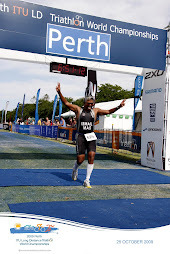 A few days earlier (here comes the excuses), I swam my longest swim ever (25km +), so I knew I would have no speed. Anyway I was happy to be there with other swimmers. I was slow. I felt so heavy due to the lack of buoyancy and I didn't stretch my shoulders enough (more excuses). I just did what I could and it wasn't good. 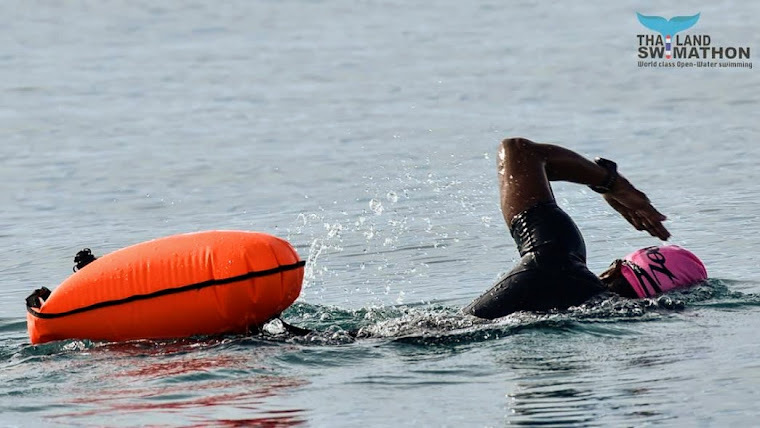 At the last turnaround buoy before the end of the first lap, I found myself close to a swimmer. 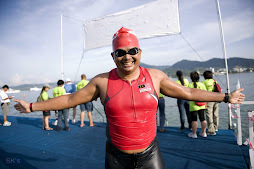 So I drafted this swimmer for more than 2km of a 3.8km race. I struggled to keep with this swimmer who wasn't swimming in a straight line. Well beggars cant be choosy. It was a young little person and I thought it might be Serge's daughter, Cloe. She is only about ten years old and at the finish I sprinted past her. I guess I have no shame drafting a ten year old girl for 2 km and sprinting by her just before the finish. I was third in my age group (50 - 59) in 1 hour 21 minutes. Serge was the clear winner. Even the second placed person (who came all the way from Korea) was far in front of me. Doesn't matter. It was a lovely sunless morning. 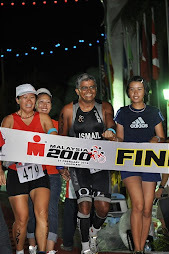 But second overall was young boy Aiman Lee. Now he is definitely something for the future. Him and his sister Mimi Lee, both are definitely something for the future. 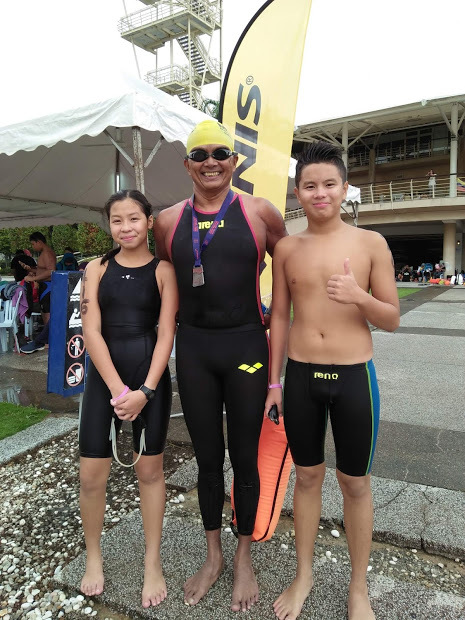 Their dad is Ben Lee who is a Triathlon and Swim coach, wonderful person, wonderful family. Serge's powerful kids. Lucas and Cloe. 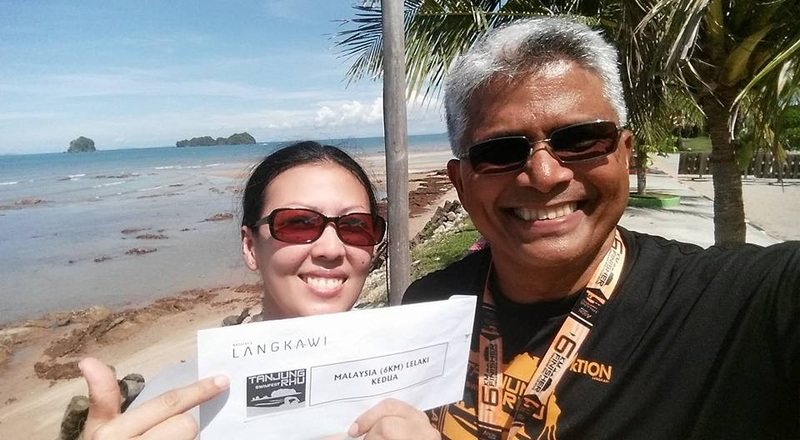 Third Overall was a woman, Jessie Wong from Sarawak. 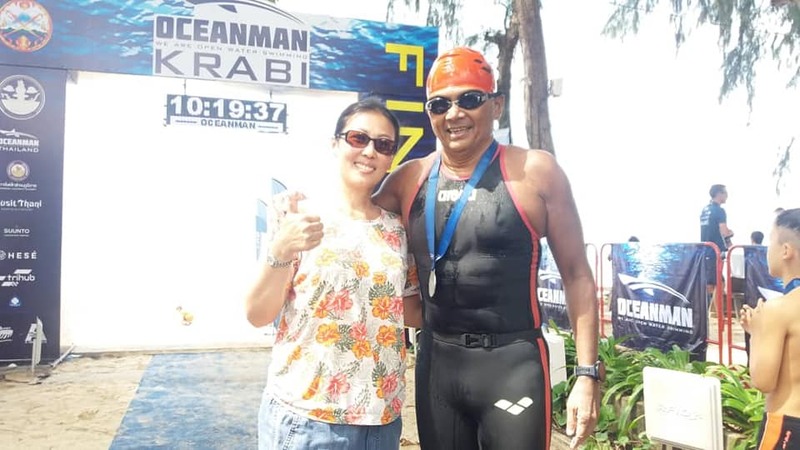 The 15km swims at 3.30 a.m. in the mornings have paid off for her. 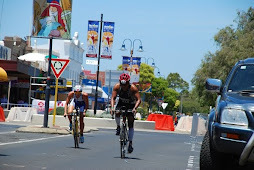 You may click on the pictures below to jump to the respective Race Reports. 14 march 2010. 16hr 26mins. 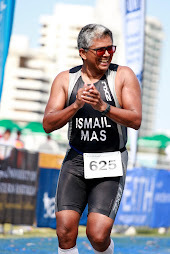 Ironman Malaysia. 16hr 28mins. Last in age group. 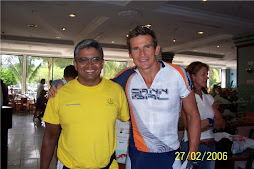 First (Jason Shortis) and last (Me), the best of buddies, ha ha.